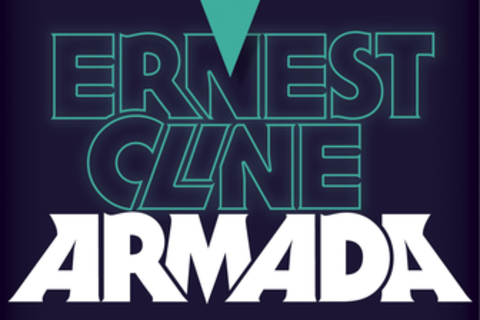 Ernie Cline, author of the New York Times and internationally bestselling novel Ready Player One, discusses his eagerly anticipated new novel Armada, including the surprising inspirations for the novel and how deeply it draws on his lifelong obsessions with science-fiction novels, films, and the transportive power of videogames. Ernie also talks about his experience publishing his debut, Ready Player One, a tale involving a cross-country journey via time-traveling DeLorean and a remarkable multi-platform contest that mirrored the treasure hunt in the book’s pages—and culminated with giving away a car on national cable television. He also touches on his adventures in Hollywood, from his current work with Universal and Warner Bros. to his early traumatic experiences with the film Fanboys. Ernest Cline is an author, screenwriter, spoken-word artist, and full-time geek. He lives in Austin, Texas, with his daughter, a time-traveling DeLorean, and a large collection of classic video games. He is the author of the bestselling novel Ready Player One (film rights were bought by Warner Brothers) and the upcoming novel Armada (film rights were bought by Universal), which Crown will publish in July 2014.